The concept of an inverted bow that Nelo premiered in the Cinco models and later expanded to the Six canoes was one of the biggest innovations in canoeing. Following last week’s decision from the ICF Warsaw congress to reduce the C1 minimum weight to 14Kg, Nelo was able to, faster then expected, adapt and deliver. Starting this week all canoes will already feature the new reduced weight. Asian Games can be a little under the radar outside Asia, but it is an Olympic dimension event, in which Nelo has been associated and present since the first time canoeing entered the program in 2006. Canoe Marathon went to the USA this year, our marathon was the logistics operation of doing in the US what we usually do in Europe. This week took place in Mexico the qualifier for the Pan American Games as well as the Pan Am Championships. Sport is about performance and dreams, and there is no other race in Canoeing with more dreams and inspiring performances by youngsters from around the world. European Champs are always an exciting race with the teams trialing their crews for the bigger events to come, but still with such prestigious medals to be taken, no one is able to take it too lightly. 7th Africa Canoe Kayak Championships - Lac Tunis, Tunisia, one more step ahead was given for the development of African Canoeing. Post Olympic is normally referred as bit more relaxed and less stressful, that is not the feeling at all as the teams, coaches and athletes were ate top of their game on the weekend, we as Nelo did not wanna be any different so we took our A game and went trough over 200 boats, from repairs to trimming to fixing parts, a bit of everything. After the first ever Ocean Racing Worlds it was time for the the first ever Junior and U23 Canoe Sprint World Championships, taking place in Welland Canada. At Nelo we have always been proud of victories of the great athletes paddling in our boats and were never ashamed of showing it. We also love to be among them and have lots of respect for their hard work. Nelo prides itself for being an environmentally aware company, always trying to reduce its impact and reducing its carbon footprint. At the last Europeans our boats performed better than ever! The hard work done during the winter paid off and the improvements applied in some classes and fittings helped us being stronger and gaining even more trust from paddlers around the world. Today took place in Montemor the Nelo Winter Challenge 2013, one more time over 4 continents, 18 countries, 600 paddlers joined in Portugal for the first race of the season. As top paddlers in the sport has been now challenging the 40 seconds barrier we thought of developing a boat that allowed them to break that barrier. Canoe Marathon presented in Rome the 2012 Worlds, after a long season we were still up to give a hand in fitting pumps, drilling holes in brand new boats, placing handles and adjusting rudders! London lived up to the expectation and saw a well organized event, but above all fierce competition with 16 countries getting medals in Canoe Sprint. Zagreb welcomed us as always with warm temperatures, clean water and friendly staff, too bad the combination of heat and clean water makes the weed in the course a big challenge for both paddlers and organizers. For this year’s International Children’s Day Nelo associated itself with a local canoeing club and an organization for the support of the handicapped in an initiative to establish and promote Paracanoeing in the community. Poznan is a great venue, that has been improved year after year, and their organizers are comitted, but one must say the odds of having rough weather in the course in this time of the year are pretty high, and unfortunately that marked the European Qualifier more than anything else. Young paddlers had the chance to meet their paddling idols at The Australian National Flatwater Kayak Titles in March 2012. Four Day Secondhand craft Special! Harbour Racing Inc. presents the Middle Harbour Challenge. The Classic concept came from the need to fill the gap between the more stable racing K1s (Vintage) and the fitness boats (Vipers). Having sold over 300 boats in the last few years, the Vintage Model has become the most popular boat amongst both the masters and the developmental group around the world. Day 2 saw the semis and finals in the 200 mt, the front wind stayed up all day, but still fair conditions for high level racing. Montemor welcomed over 20 nations and 600 athletes to the Winter Challenge, unfortunately the event lived up to its name presenting itself with a windy and rainy day, still the athletes were able to achieve some impressive results. 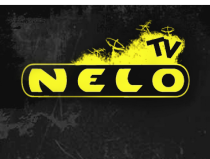 We are less than a week away from the 2012 NELO Winter Challenge, and on our list of “nominations” include more than 600 participants from 20 different countries. As the year 2011 draws to a close, we at NELO would like to wish you a Merry Christmas and a Happy New year. Indeed, after an eventful tour in 2011, we are looking forward to a even more exciting 2012 here in the factory, as well as on the Asian front. Guadalajara was the host for 2011, Canoeing took place a bit south in a small city called Ciudad Guzman, the course was brand new with all the facilities required for an event at this scale. Singapore turned out be an awesome location, but the heat and humidity marked the championships for many of the athletes as they could not recover easily from the efforts made in the early stages. All Africa Games took place in Mozambique, at the same time took also place the first of the 5 Continental Qualifiers for London 2012. Hungary is world recognized by their passion for this sport, no other country can get these crowds and followers, but it is also true they organize like no one else, with care for details, professionalism and above all excellence! So our first words must go to the organizers, officials and volunteers that made it all possible. A race is about paddling as fast as possible from A to B, but an event is much more than that, and the weather is one of the things that can compromise the experience unfortunately for the organizers and competitors Brandenburg was like that, great racing but not a great event due to the weather. St Jean de Losne hosted the EC Canoe Marathon Championships, the French organizer did their best to create a nice and friendly athmosphere, the weather did not help, but it tuned out to be a good event. Over 100 medals, 4 days of 9 hours non stop racing, 216 races and 38 countries that is what Zagreb was all about!! Belgrade OC surprised all with an efficient and organized venue, with swift transportation and catering services. 45 countries lined up into what has to be considered one of the most competitive World Cup of the past 3 years. 2011 will be an important year as most of the teams focus on their Olympic Qualification, the process is complex and extremely hard, so the teams and athletes will use the World Cups to trial different options on boats, combinations and events.  Nelo has been a pionner promoting ergonomic solutions for our boats, and even creating model ranges to fit the athletes perfectly, so the Paracanoe was a challenge we embraced. 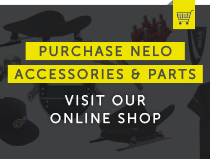 Nelo has associated itself to TegySport, the Italian brand famous for their starting systems, in the development and comercialization of a new training block. The Portuguese Canoe Federation, Nelo and the Montemor-o-Velho Council organized last weekend the PORTUGAL WINTER TRIAL 2011 - NELO WINTER CHALLENGE. The 2011 New Zealand Canoe Sprint Championships which included the Oceania Canoe Sprint Championships were held over three days from the 18-20 February at Blue Lake, Rotorua. In Nelo investigation is a daily routine. The Portuguese Canoe Federation, Nelo and the Montemor-o-Velho Council has the pleasure to announce the PORTUGAL WINTER TRIAL 2011 - NELO WINTER CHALLENGE. What a great year that is coming to an end. The Asian Games, officially known as Asiad, is a multi-sport event held every four years among athletes from all over Asia. Confederation of African Canoeing (CAC) have reached historic landmark 4 year sponsorship agreement with NELO kayaks of Portugal to develop the Olympic Sports of Canoeing In Africa . End of October is normally the time chosen by the teams to restart their trainings, and our experience confirms it. Teams start to prepare and so do we! From now on, and until the 31st of December 2010 if you register your boat you will receive a voucher to be discounted in our online shop. Poznan has one of the best venues in the world, with the course fully integrated in the city, and if it wasn’t for some days of very hard conditions and the lack of returning channel, this would be the best race course in the World. Moscow celebrating 30 years of the Olympic Games Moscow 1980, welcomed the sprint event with more competitors in the World of Canoeing. The course has to be one of the nicest in the world, with great stands, wonderful water plan and a lot of area for all the teams and athletes. Europeans in Canoe Sprint, has always been a hard race, but with the expenses restrictions some of the teams are facing, only the very best athletes had a chance to race in Trasona. World Cup II and III took place in 2 of the best courses in the World, add to that 2 weeks of great weather, and you get great paddling conditions and high level of competition. The Nelo Staff went for a 2 week tour following some of the best paddlers in the World, nice weather helps on the comunication between Nelo and the paddlers, in what is always a very enriching experience for our staff, as they can learn what really matters and what we can do keep improving. create a new website specialized and exclusively dedicated to this boat style. World Cup I racing is always full of ups and downs, with some athletes in good shape and others still struggling to get into race mode, but it is all about testing and learning. From today you can find a new website for our slalom line. This new range of boats incorporates in their conception the same basic guidelines as for all our boats: a fine balance between performance, stability and comfort. Following advice from the ICF, SYOGOC has approved the boats that will be used in the Games. It is still 8 months left, but you didn’t want to wait anymore! It is has in the imagination of the entire paddling comunity, to go to the richest race in the World. The K4 was the first boat to win a gold medal for Nelo, in Sidney 2000 the German team paddled to gold in a Nelo K4 since then, we have won a total of 7 medals. The C1 Vintage aims to help the young ones introducing themselves to the sport of canoeing and to help the older ones to enjoy their canoeing again with the required stability and comfort. Nelo and CAC (Confederation of Africa Canoeing) will sign a memorandum of understanding. The objectives of this cooperation are to promote and develop Canoeing in member countries of CAC in Africa and support the development of NELO brand in Africa. Tehran welcomed the Asian Championships, this event went on for 4 days over 1000, 500, 200 and 5000 mt for Seniors and Juniors. Worlds in Portugal, was something special for us, and for all the Portuguese Fans, even more when Portugal took 4 medals. Nova Scotia fans and volunteers deserved having this championships here, their dedication and joy was unique! Last week we had a special paddler training with us in Cinfães. The Kayaksurf World Championship and Portuguese Championship took place at Santa Cruz Ocean Spirit ’09 – Wave Sports and Music Festival, from July 24 to August 2. The Moscow course is a Winner! Clean water, narrow, return channel and good infrastructures, even if it’s not well mantained, it’s one of the best in the World. The Venue is impressive and taking into account it was made for 1980 Olympics is even more impressive. Drilling brand new boats, placing aluminium handles, installing water pumps... what a change of scenario compared to the sprint races we normally attend. Marathon is without a doubt a class of its own. This time it took us to Ostroda in North Poland, a nice location that reflected the effort of the locals in welcoming their visitors. During this championships 98 medals are awarded, what makes it one of the most active events in canoeing. Even with so many athletes and events, it was clear for us, that our boats are not only the choice of the top paddlers, but also from their younger followers. Nelo and the Polish Canoe Federation offered a boat to the best male and female paddler of the European Champiosnhips that took place last weekend in Poznan. We just added one more model to our fitness and touring range, it’s a Viper K2. After the success of the singles we decided it was time to come up with a K2 as well. Szeged closed in great style the World Cup Tour of 2009. How is your slalom project moving? Our slalom Project is moving fast and right on track, check our site and follow the progress trough our blog. We never get tired of our athletes satisfaction. One of the things that make us move forward is to see the smile in the face of a happy customer unwrapping his boat! Christopher Camilleri, the best Maltese kayaker, spent 2 weeks in Cinfães preparing for the Mediterranean Games. Are the Vanquish 3’s achieving the expected results? It is still early to say, but for now it is way over our expectations…. Adapted Canoeing, soon in Portugal? Carla Ferreira, from “Montijo Atlético Clube” is already a member of the Portuguese Canoeing Federation and soon will receive an adapted kayak, produced by Nelo, a Portuguese company leader in the national and international market. For many years this time of the year is marked by the winter championships. Normally raced over 5000 meters, these races have become a tradition and assume in many countries the role of starting the season, with marathon, sprinters and all non specialist racing together! From today you can find on our website a brand new Sea Vanquish, it will keep the same name, but the version is now in it’s name becoming the Sea Vanquish III. From your 4 models of C, which one should I choose and which one is the most common? 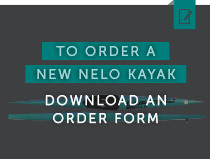 Where can I test a Nelo boat?